يقع فندق فندق نوفوتيل ملبورن سانت كيلدا، المصمم ليناسب كل الضيوف سواء كانوا من رجال الأعمال أو السياح، في مكان ممتاز في أحد أكثر المناطق تفضيلاً في هذه المنطقة. يمكن من هنا للضيوف الاستمتاع بسهولة الوصول إلى كل ما تقدمه هذه المدينة النابضة بالحياة. إن سهولة الوصول من الفندق إلى المعالم السياحية الشهيرة الكثيرة في المدينة هو استثنائي بحد ذاته. كما يقدم فندق نوفوتيل ملبورن سانت كيلدا الكثير من الخدمات لإغناء رحلتك في المدينة. لضمان راحة ضيوفه، يقدم الفندق الخدمات التالية: خدمة غرف 24 ساعة, مكتب استقبال 24 ساعة, مرافق مخصصة لذوي الاحتياجات الخاصة, تسجيل وصول/مغادرة سريع, تخزين الأمتعة . تعكس غرف الفندق البالغ عددها 211 المنتشرة في 6 طوابق جواً من الدفء والألفة.خدمات عصرية مثل مناشف, سجاد, تلفزيون بشاشة مسطحة, اتصال لاسلكي بالإنترنت, سياسة التدخين - غرف لغير المدخنين متاحة موجودة في بعض الغرف المختارة. كما أن مجموعة الخدمات الواسعة الموجودة في الفندق لضمان راحتك تترك لك الكثير من الخيارات لقضاء وقتك أثناء فترة إقامتك. يحظى فندق فندق نوفوتيل ملبورن سانت كيلدا بموقع ممتاز وخدمات يصعب منافستها. Absolutely gross hotel great location but felt like i was getting legionares disease in there , 10 minutes of being in our room and we were sneezing like crazy from suspect aircon i assume with a mix of a dirty dusty room ! 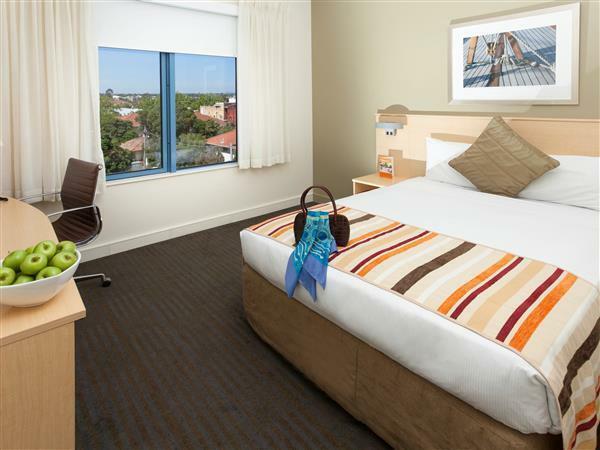 Really grotty & dated room , sheets were like cardboard , lift was playing up , staff were rude and tried to rip me off , carpark is a ridiculous 1.7m clearance height ... Really not a pleasant stay for $300 a night !!!! Had to ring twice to get face towel. Receptionist was slightly rude. Basin tap was hard to move n control water - either too strong or too little water coming out. In summary the hotel left a bad taste in my mouth. Definitely only 2-3 star hotel which is old n needs a refurbishment too. Cannot believe the dirty windows. They gave me a nice room with a view on my birthday, which was lovely. 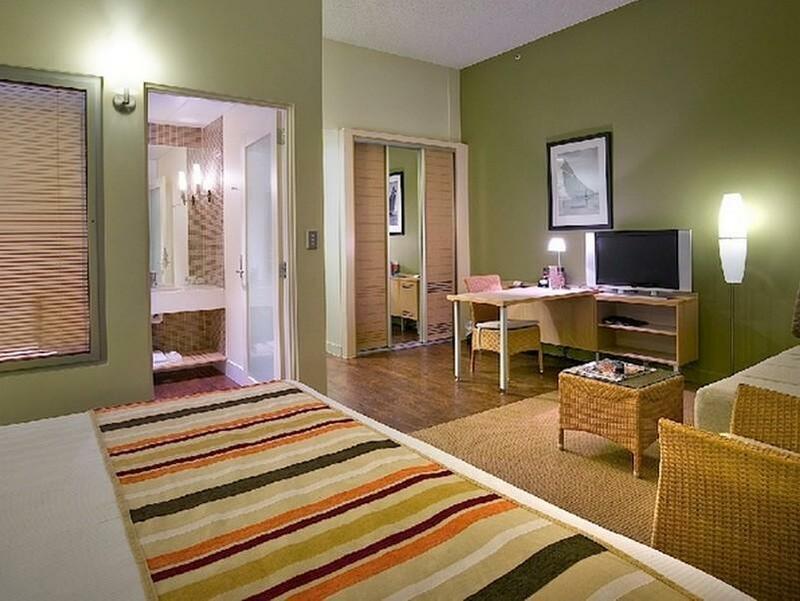 The room is a little and I think a tiny bit expensive but you're paying for the incredible location! Would definitely stay again. Onsite parking is available at $25 a day. We stayed here March 2017 for 2 nights as we wanted to be near a beach in Melbourne and also convenient to head down to the City. First the airport shuttle was a breeze as it stopped right in front of Novotel. Our view from our room we can see the beach and the sea which was good and we love the small jacuzzi bathtub. The room has a sofa which could sleep another person. Nearby the beach and restaurants. Recommended to walk to St Kilda pier where you can spot penguins there. For those looking to visit Melbourne, do split your stay at St Kilda and the City to get the best of Melbourne. 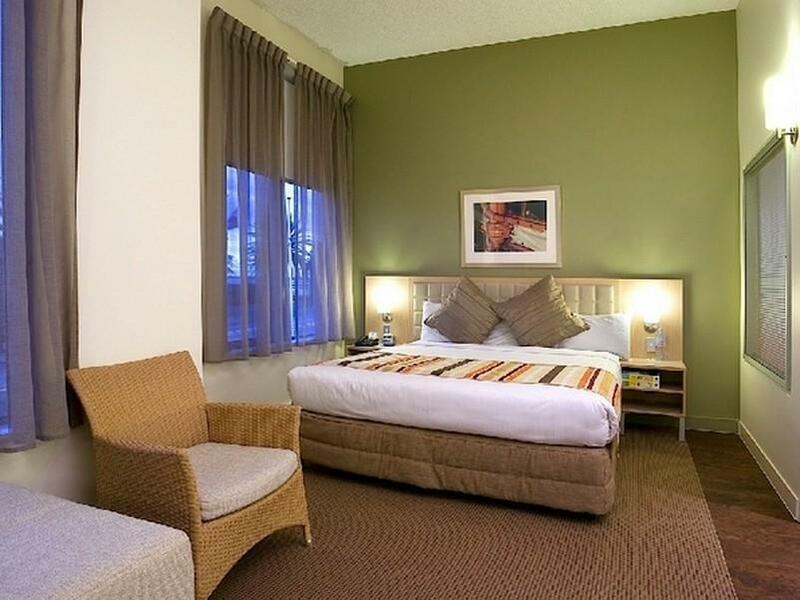 This hotel is ten minutes drive from the CBD and can easily accessed via the tram or cab. 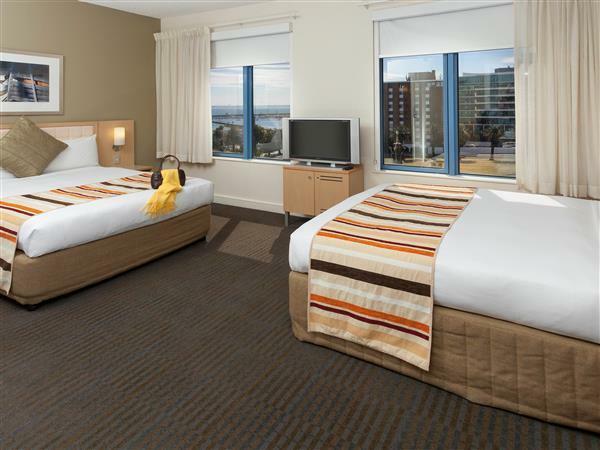 The twin bed room comes with 3 beds and is actually the family room. So, instead of having twin bedding, we had a huge family room. According to the staffs, all family rooms dont come with an ocean view. 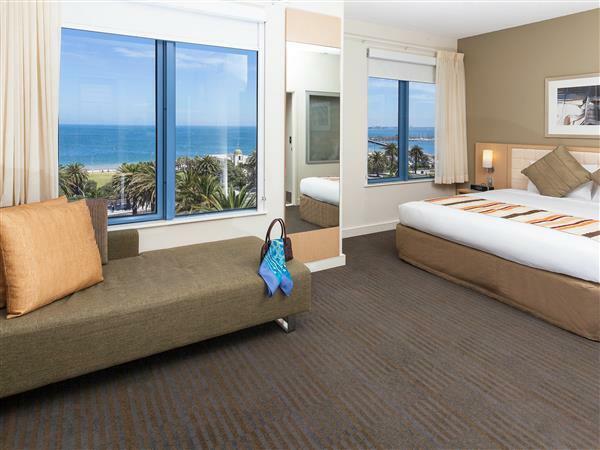 So, to have an ocean view room, you need to book the king or queen bed room. The staff helped us to book a taxi to the airport on our last day. However, the taxi driver cheated on us and started the metre with A$15. Be careful. I suggest book a ride through Uber instead of requesting through the hotel. It was an awful experience for us on our last day in Melbourne. Great to hear you enjoyed the location! Room was reasonable although I was put into a disabled room for some reason. 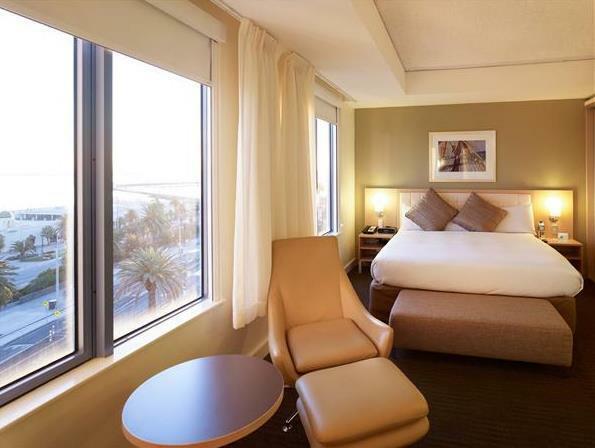 As others have said it is a little dated but it's a great location with a short walk into the main entertainment strip of St. Kilda, Luna Park etc..
No ability to control the A/C from the room meant we either froze or had to take the card out and have no bathroom lights. Positioning of mirrors was not practical with limited space. $25 a day is excessive for car parking. Staff on Sunday were great, staff when checking in on Friday not that great. Wonderful to hear you had an enjoyable and comfortable stay! Novotel was great to stay, however I was disappointed as they could not locate our booking. In saying this I am unsure if it was a fault of Agoda or Novotel, but Novotel did their best to accommodate ad rectify the situation. 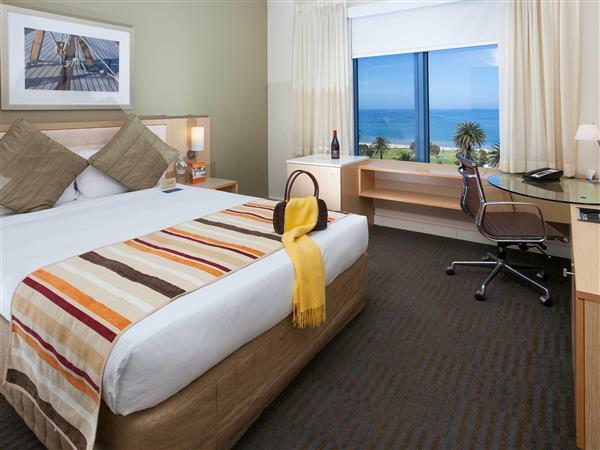 A nice hotel in a great location for enjoying everything in St Kilda, and easy commute to the city Using the tram outside the hotel. Great to hear you enjoyed your time while in St Kilda. 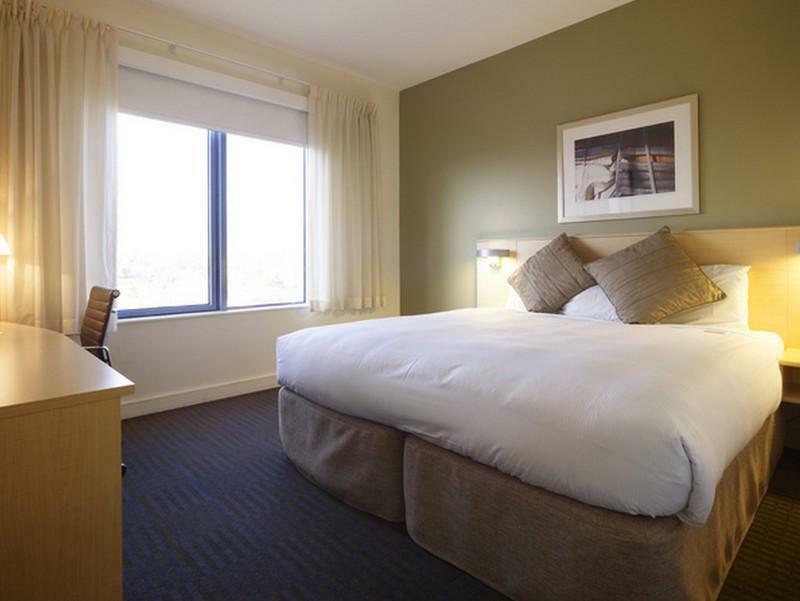 Location super,staff friendly,bed pillow hard and room 617 where we stay the toilet doesn't work properly it doesn't flush..we told the reception about that then the give us free parking as compensation. Great to hear you enjoyed our beach side location. Rooms are basic but adequate, breakfast was OK. great location with tram stop right outside the hotel for a 13 minute ride into the casino and other Melbourne attractions. Pool could do with some work and in general the decor is in need of a re-paint. Hotel bar was very disappointing. Thank you for your feedback. We hope you enjoyed your time while in Melbourne. Wife & I were attending a concert at Rod Laver Arena. Given the great lactation. We were able to grab a bite to eat and a couple of drinks before heading to the venue on public transport. Check in was a breeze as was check out. Would highly recommend this hotel to anybody regardless of travel reasons. The location always brings me back to this property. Good service from the team of staff though te property could do with an upgrade soon. My colleagues room door kept having intermittent issues to access and can be frustrating when a biz traveller needs to get in and out of his room during our stay. Stayed for one night for the comedy festival and a dinner with friends. Great location, great easy accessible parking, staff were professional and wonderful, rooms aren't super modern but clean and all you need. Good shower and bathroom too! My wife and I enjoyed our staff at this hotel. The staff were rather strange when we checked in. There was no organisation and our room was un-serviced. However when someone more senior was involve things got back on track quickly.